– monitor and tune JVM to improve its performance. – command line tools for OS monitoring. – tools used for monitoring Java applications. – tuning JVM where majority of it related to GC tuning. – tuning Java EE applications. The book has 12 Chapters and not all chapters are required to be read in one go. 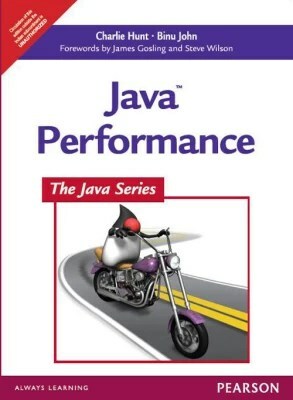 Its recommended to read all the chapters until chapter 7 as they cover some really interesting and important topics relevant to OS monitoring, JVM basics, JVM monitoring, JVM tuning. The chapters covering Web Services performance rely on SOAP based services and might not be really relevant to few readers. Also Glassfish is used as the app server for examples in Java EE related monitoring chapters. These few chapters (chapters 8-12) can be read as and when the need arises. Though the book has been published in 2011, it covers the latest GC algorithm – G1 Algorithm and also calls out any changes/optimisations that can be done in Java 7. So one cannot rule out this book as outdated. I really benefitted from this book- the chapters related to OS monitoring, JVM overview, JVM monitoring, JVM tuning are the best, resourceful and highly informative. Also the step-by-step approach to JVM tuning described in the book helps a lot in tuning your Java applications. Anyone reading this book should have good understanding of Java programming and also have at his disposal a Java application which they can tune as they read through the chapters. Mere reading will not be helpful. Buy the print book from Flipkart.